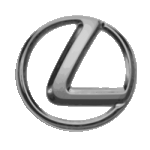 Lexus is a premium brand of cars and hybrids. Over the past few years Lexus have established themselves as a major player in the luxury vehicle market. When you lease a Lexus you're buying into that brand and of course experiencing the luxury. Whether you're looking at the Lexus Compact, Lexus Saloon, Lexus Crossover, or Lexus Coupe the experience of quality is always there. We have some great Lexus lease deals to take a look at. But if you don't see the Lexus lease deal you're looking for just contact us.